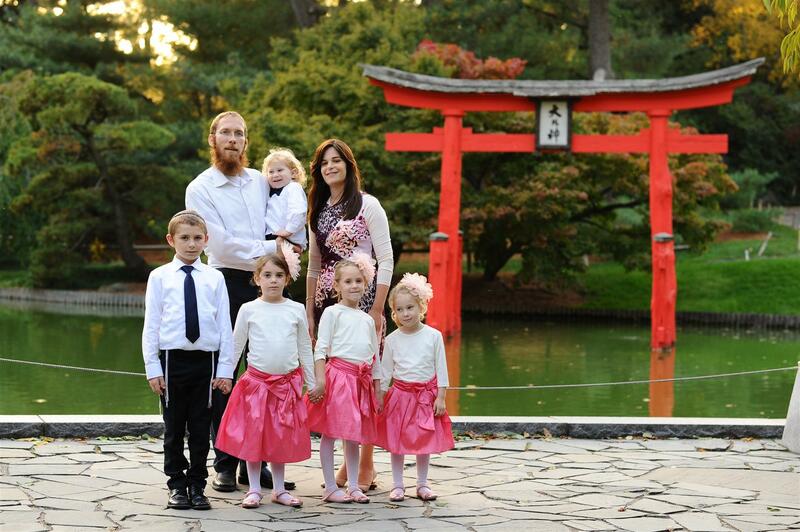 Rabbi Shraga Crombie, who grew up in Israel, arrived at Rutgers eight years ago. He is a recognized figure not only on campus, but also by the many people who see him and his children walking three miles from home to Rutgers every Shabbat order to daven with the students at Chabad! Thankfully, Rabbi Crombie turns off his computer for 25 hours every Shabbat. Otherwise – he is Chabad’s go-to computer and web guy! He has revamped the entire website more that once and continues to make it increasingly user friendly. This school year, he launched a new program that enables students to sign up for the meal plan online. The website is updated on a daily basis – providing students with up-to-date information about a host of daily and weekly programs. Of course, students enjoy seeing the new pictures that are posted daily (and quite a few proud parents report feeling nachat when they see these on-line pictures of their children attending Chabad House events)! It also contains a wealth of information about Jewish thought, holidays, practices, and links to hundreds of resources. In fact, the website template is so user friendly that Chabad Houses across the country have adapted it for their own shuls and centers. It is used not only in all of Central Jersey but also in London and Sri Lanka! Rabbi Crombie finds time to get way from the computer to spend many weekly hours in chavruta study with students. He also reaches out to the Sephardic community by giving classes to interested families from Deal. On Tuesdays, Rabbi Crombie accompanies the other campus rabbis to the Busch and Livingston campuses of Rutgers where they set up a welcoming tent to introduce themselves to students. “As welcoming as we are,” he says, “there are students who, on their own, won’t enter the doors of a Chabad House. So, we go to them.” They invite students to learn about their activities, ask them to check out the Chabad Facebook page, and perhaps, give them a chance to put on tefillin, discover on-campus candle lighting and challah baking opportunities, or just schmooze a bit. Around the different chagim, they also give out attractively wrapped gifts – such as apples and honey, candles and menorahs, hamenstaschen or seders to go! On Friday, the rabbis take their tents and table and set up on Campus Avenue! Their work is never done! Remember those three mile Shabbat walks? Well, don’t think that during the summer Rabbi Crombie doesn’t spend Shabbat with students. He just changes the venue. He and his wife Sternie invite students to their home. “After all,” he says, “a Shabbat with 400 of your closet friends is one thing. A Shabbat in a family setting is another. Many students are curious about having that warmer, intimate experience and the Crombies are thrilled to provide it. They also invite students to their home for Pesach sedarim. “I hope that these students recall their experiences, when they begin their own families,” says Rabbi Crombie who takes particular pleasure in attending Chabad alumni weddings and smachot. 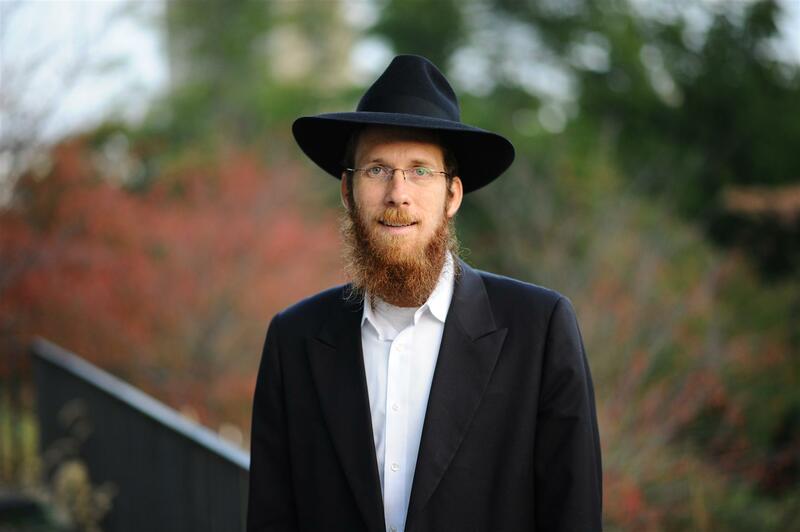 Looking back on his eight years at Chabad he marvels at its unbelievable growth. He attributes this to both Rabbi Carlebach and Rabbi Goodmans’ stellar leadership along with Rabbi Shagalow’s ability to inspire students and…of course to the students’ themselves!